Dr. Kurzman and his staff were extremely professional. He was gentile and compassionate during my visit. I highly recommend this practice. Dr Kurzman is very professional, kind, caring and has a great bedside manner. Dr. Kurzman was prompt, attentive and professional. Will definitely come back. Caitlyn, PA is wonderful! Best dermatologist I know. The wait time is minimal and the expert care is most welcome. I would urge anyone with dermatological needs to seek out Dr.Kurzman. You won't be disappointed. Very pleasant staff. Dr. Kurzman was very informative and patient. Would recommend. A very pleasant staff. Dr. Kurzman was very thorough, informative and patient. Would recommend. Everyone was friendly courteous and professional. Doctor is excellent. Waitway to long. Arrived 1/2 hour before my appointment time. Was seen 1 hour after my appointment time. Would appreciate a more efficient run office. Doctor Kurzman was quick and thorough! Doctor and staff were excellent! Long wait. I have been a patient of Dr. Kurzman for 27 years. It has always been a positive experience. I saw PA Caitlyn my last few visits and she is awesome! She is very skilled and extremely caring. She treats her patients with kindness and respect. I hardly have to wait and I’m in and out quickly without feeling rushed. Always a great experience! Dr Kurzman is just a wonderful very caring doctor !! Always provides excellent medical service and advice! 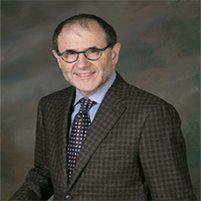 I had my consult with Doctor Kurzman and immediately knew he was a knowledgeable and experienced medical professional. I felt very comfortable with him and I am confidently looking forward towards my upcoming procedures with him..! !